​Everton manager Marco Silva has praised the support from their fans on Wednesday night, who were appreciative of their team's fighting spirit against Manchester City. Though the Toffees ultimately lost the game 2-0, they frustrated the champions for large periods and starved City of many notable chances. ​After the full time whistle, the Goodison faithful gave their beloved team a rousing ovation, and Silva claimed this show of solidarity from the fans will do his players the world of good. “I have no doubts, it will make them stronger," Silva told Everton's official website. “Even if they [supporters] are not happy with the result, which is normal, and we are not either… that reaction was something the players needed and will make them more confident and stronger for the next match. "Their reaction at the end of the match was everything our players needed at that moment." Wednesday's defeat means ​Everton have now lost three of their last four ​Premier League games, but Silva was encouraged by the spirited display from his players who responded well after their 3-1 defeat to Wolves. "We had a good attitude and gave a strong answer, it was completely different from our last game and everything we needed to show,” the Portuguese tactician continued. "The main thing is the result and we did not achieve what we wanted before the game...the performance was what we wanted and has to be our image as a team." Though the Toffees remain in the top half of the table for now, the teams around them all have a game in hand on Silva's men and should results go against them next weekend, they could drop as low as 12th. 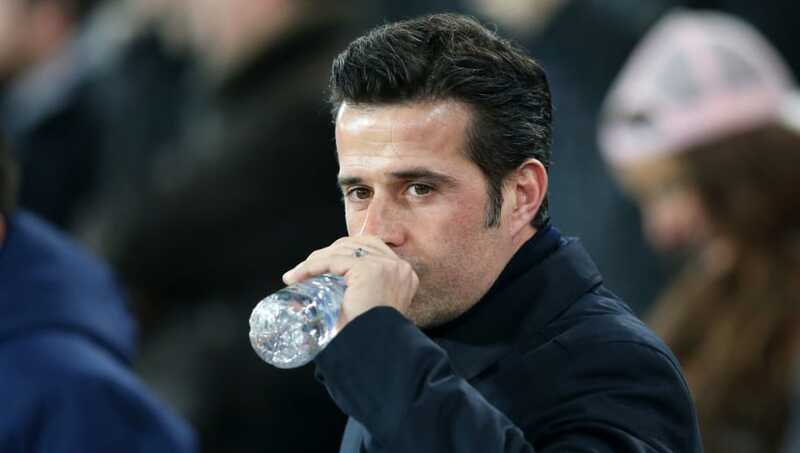 Everton will continue their push for a top-half finish on Saturday afternoon as they travel to face Silva's old employers ​Watford at Vicarage Road.